Answering the call to become imam of Tyre, he moved to Lebanon in 1960. For the next two decades, his tireless devotion to enfranchising the marginalized Shi’ite population while maintaining respect for, and tranquil relations with, all of Lebanon’s many confessional groups won him wide praise. Sadr helped to redistribute needed resources to the country’s underdeveloped and impoverished south. With the institution of an array of social welfare programs, he quickly gained the reputation as a genuine reformer. He became head of the Supreme Islamic Shi’ite Council in 1969, making him the de facto leader of Lebanon’s Shi’ite community. In 1974, he founded the “Movement for the Disinherited” which continued to advocate for Shi’ites’ political and socio-economic rights. Its armed wing, “The Lebanese Resistance Detachment”, became better known by its acronym, AMAL (or “Hope”) which persists today as a political party. The complete biography and works of Moussa al-Sadr are beyond the scope of this article. What brings us to the present conflict between Lebanon and Libya, however, centers around Sadr’s 1978 visit to Libya. In August that year, Sadr and two of his companions – Sheikh Muhammad Yaqoub and journalist Abbas Badreddine – flew from Beirut to Tripoli, Libya, to meet Gaddafi and other government officials. They were never heard from or seen again. It is believed that on the orders of Gaddafi, Sadr and his two aides were imprisoned and/or murdered. 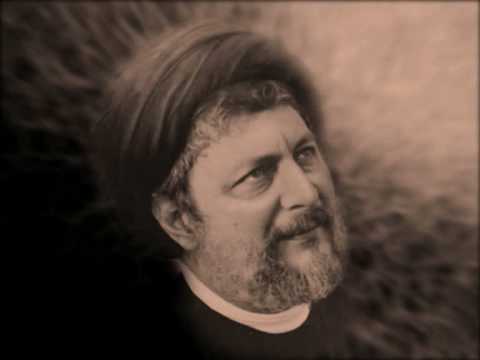 His motivation for doing so remains murky, although he very well may have regarded Sadr as a religious or political rival. Gaddafi denies any knowledge of their fate, saying they had left Libya for Italy. After August 31 though, no trace of them was found in either country. Other than contending the three had departed for Rome, Gaddafi has refused comment on the matter entirely. In an October 1978 article entitled “An Imam Is Missing”, Time magazine recounted that although Sadr had flown to Libya to allegedly attend ceremonies celebrating Gaddafi’s ascent to power, a flight to Italy was booked in his name the day before those celebrations took place. The crew did not report seeing him on the plane and Italian police found no evidence he had been in Rome. Whatever the explanation of Moussa Sadr’s disappearance, troubled Lebanon had lost a potent moderating force in the Imam. As a political as well as spiritual leader of the country’s most impoverished community, he had founded technical schools, sports centers and medical clinics for the poor. He had repeatedly attempted to head off bloody sectarian strife. Thirty years later, on August 27, 2008, Gaddafi and six other Libyans were indicted by Lebanese courts for Sadr’s disappearance, charging them with conspiring to kidnap and false imprisonment. Although long presumed dead, there are still those who believe that Sadr remains incarcerated. Sadr was a towering figure in Lebanon as he was trusted by political leaders from across the spectrum. He personified the essence of Lebanon’s national unity and many believed that Lebanon could have been spared the agony of civil war had Sadr been there. In light of Gaddafi’s indictment and presumed involvement in Sadr’s disappearance, there are now calls for Lebanon to boycott the Arab League summit in Tripoli – the same city where he went missing. Gaddafi has already threatened to expel the 20,000 Lebanese nationals living in Libya should a boycott take place and institute other “painful” measures as necessary. This notwithstanding, Lebanon should still boycott the summit. Although historically nothing of substance has ever emerged from these gatherings, Lebanon now has the opportunity to send a powerful message before it even convenes. With a boycott, it would say that the lives of great men who were instrumental in uplifting the downtrodden, who crossed sectarian lines to promote communal harmony, who fought for the betterment and welfare of the Lebanese people, will never be forgotten. For a country that has endured so much in the way of civil strife since the disappearance of Imam Moussa al-Sadr, the leaders of the 21 other members of the Arab League would do well to appreciate what Lebanon has to say about justice and principle.